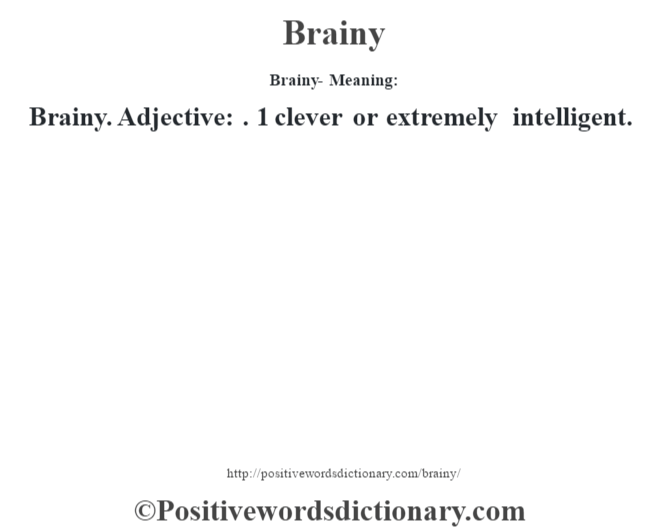 Brainy. Adjective: . 1 clever or extremely intelligent.